Born in Homerton in the London Borough of Hackney, the left-winger played for seven clubs in a 12 year career that was ended by the Second World War. 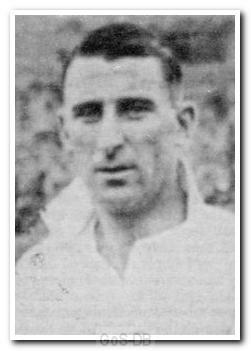 Starting out with Clapton Orient in 1927, Fletcher moved on to Crystal Palace the following year and then Merthyr Town in 1929. 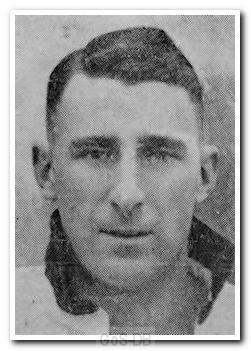 With a little more experience to his name he returned from Wales to sign for Clapton Orient a second time in 1930 and this time stayed two years, making 120 appearances and scoring 32 goals. In 1933 he moved across London to Brentford, where he played 104 times and scored 25 goals in another two years. In 1935 he moved to Burnley (62 matches and 21 goals) before making the move to Plymouth in 1937. After his debut, a 0-0 draw at Old Trafford, he played occasionally for the first team but a year later left for Ipswich Town. He remained registered at Portman Road throughout the war years and then in in 1945, signed for a third time for Clapton Orient - who that season changed their name to Leyton Orient - although he made no further Football League appearances.